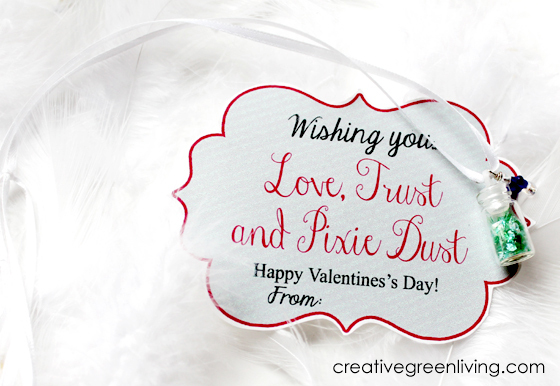 Michele even gives you a tutorial for how to make your own glitter chalk! Alternately, make life easier and pick up some chunky sidewalk chalk from the dollar store. 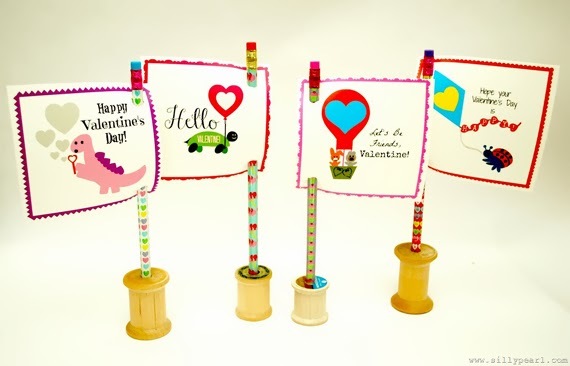 "You Wormed Your Way Into My Heart" Valentines from C.R.A.F.T. 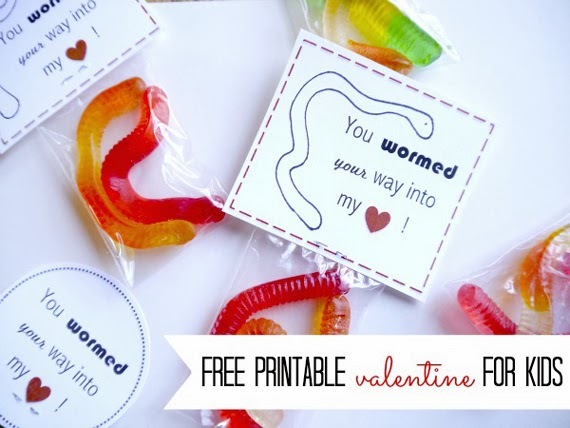 Pick up some GMO free Yumearth Organic Gummy Worms for this cute valentine that isn't too mushy. Jamie splits the worms up, but I say just make your like easier and attach the printable tag to individual serving size bags of gummy worms. 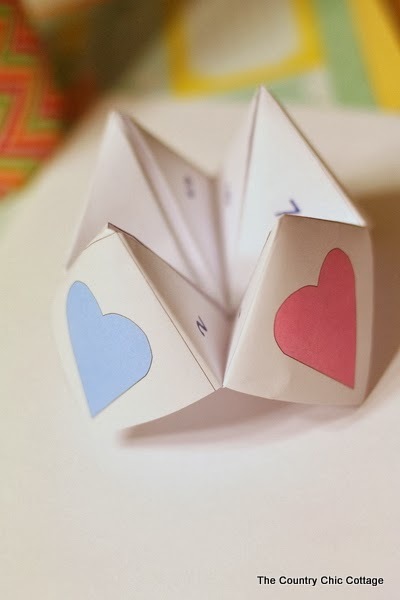 This printable "cootie catcher" (or "fortune teller" as we used to call them in school) would be great to pass out. Just print it on cardstock and have your kiddo sign the corner. 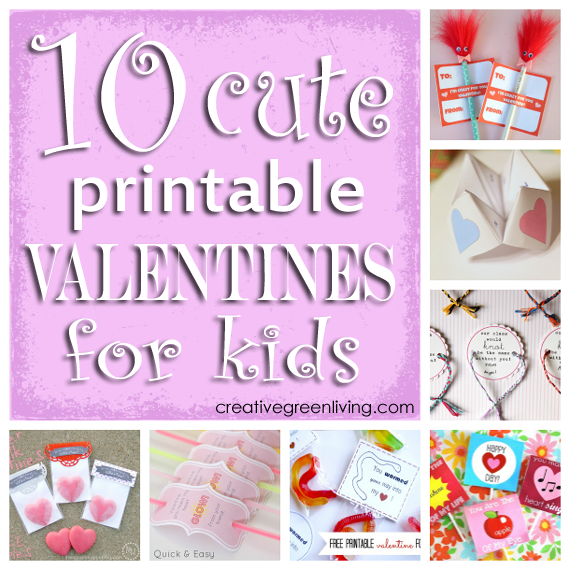 His friends will have fun cutting and folding to make their own fun toy. Add these to some YumEarth Organic Lollipops for a sweet treat that is adorable and free of GMOs. 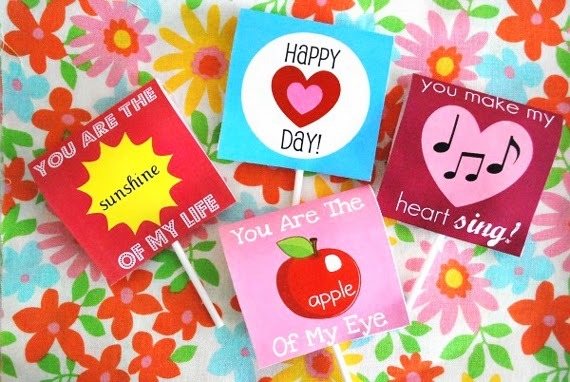 Attach these to pencils as shown or tie them on to a variety of treats available at the dollar store like bubbles or kites. My son loves glowsticks. LOVES them. 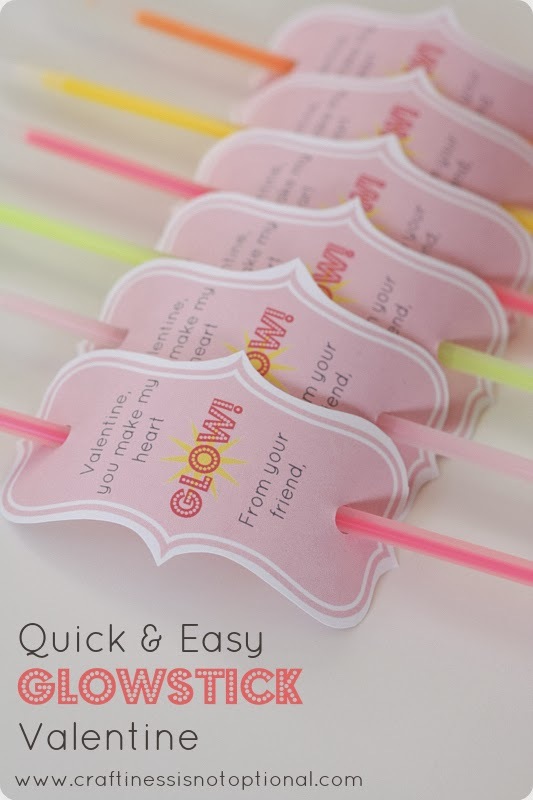 Attach these cards (she has two versions - including a less girlie one) to individual glow bracelets for a popular candy-free gift. These pencils are so so fun - and they don't look hard to make. Be sure to check out Jenn's tutorial to learn how to make your own crazy retro hair pencils. 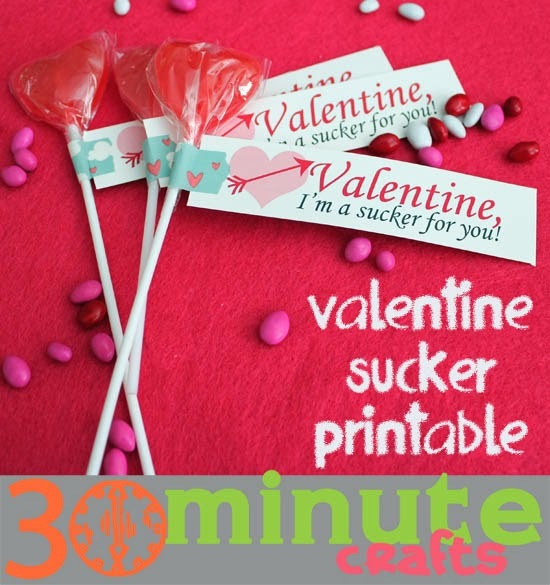 Steph teaches you how to make your own lollipop covers - or you can just print out your own. Don't forget to order YumEarth Organic Lollipops for a healthier holiday. 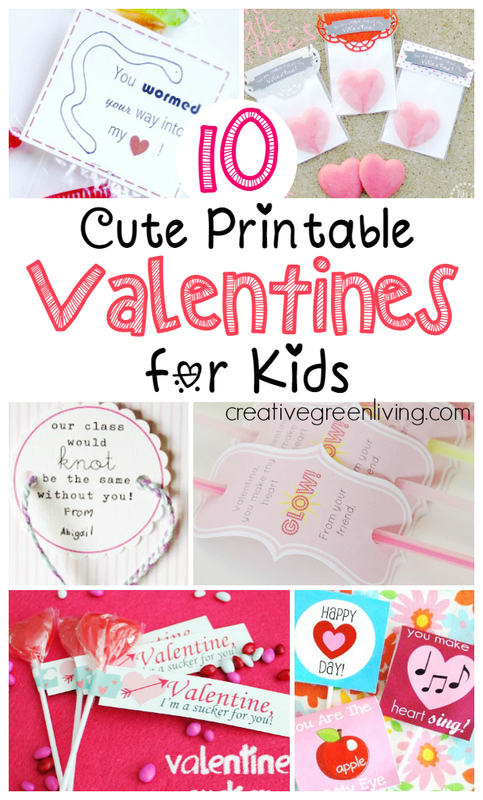 Perfect for kids who like to craft - spend some of your time stuck inside on snowy or rainy winter days whipping up friendship bracelets to add to these darling tags. 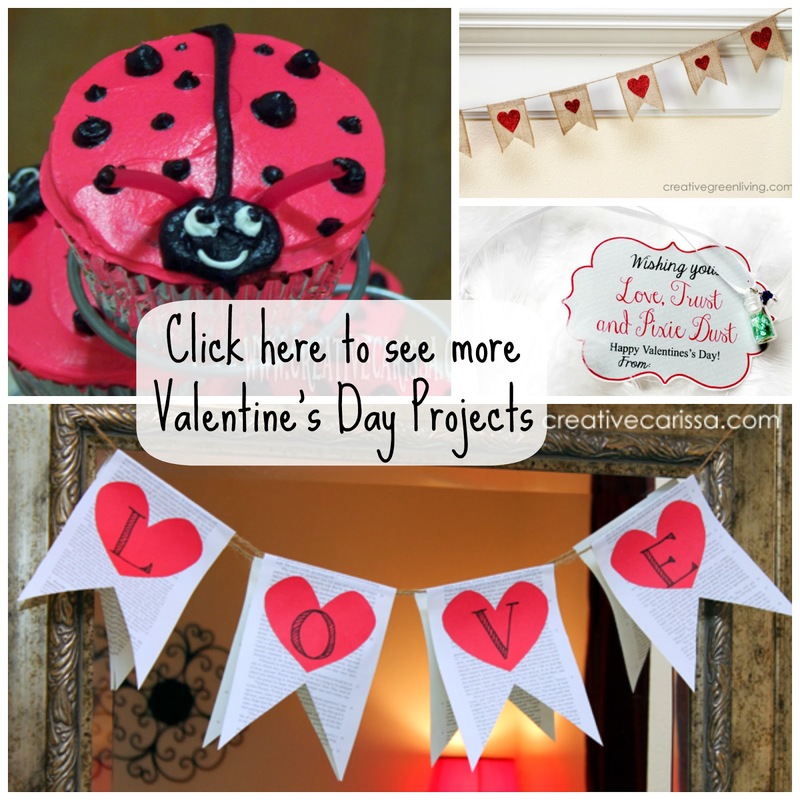 Thanks for featuring my Valentines, Carissa! And thanks for the link to the organic lollipops. What a great alternative!